A head gasket is one of the main parts of a car and is found within its engine. This essential part is positioned between the cylinder heads and the engine block - also often called the cylinder block - in the car’s engine. Its job is to keep the pressure created inside the engine by the process of combustion of fuel within the engine itself, and effectively stop it from blowing the engine to pieces. The head gasket ensures that the internal combustion process is properly contained within the engine, ensuring that the cylinder heads - which generate tremendous amounts of force when they compress the fuel to cause it to ignite - don’t damage any other internal parts. It also stops coolant and oil from mixing together as the two fluids travel from the engine block to the cylinder head. It follows from this that the head gasket is subject to extremes of pressure and temperature which place heavy demands on it, and mean that it needs to be properly maintained. Because of the important role the head gasket plays in the smooth running of an engine, it is the focus of much research, concentrating especially on the best materials from which to make them, as its optimal performance can have a major bearing on the efficient working of any car’s engine. The head gasket is also the key component in helping maintain the optimal running temperature of your car’s engine. Unfortunately, this often means it is one of the first parts to be affected by any overheating in the engine. The head gasket seals the coolant channels between the cylinder head and engine block, so allowing coolant to flow through the right channels after being cooled by the radiator to in turn cool the engine. Your car’s engine temperature is controlled by a thermostat. In most cars, this small (two-inch/5cm diameter) part helps keep coolant from reaching the radiator until the engine has warmed up. When the engine is cold, no coolant flows through the engine. Once the engine reaches its operating temperature - generally about 200 degrees F or 95 degrees C - the thermostat opens. By helping the engine warm up as quickly as possible, the thermostat reduces engine wear, the accumulation of possibly damaging deposits, and emissions of harmful chemicals. The thermostat works in close conjunction with the radiator and head gasket to ensure that the right temperature is maintained within the engine, by keeping the coolant in the system flowing smoothly, and getting to all the parts where it’s needed. What Is A Head Gasket Made Of? As you might guess from the above, for materials to be suitable for use in vehicle head gaskets, they need to be able to withstand a variety of different - and often difficult - conditions. The head gasket must resist the effects of contact with engine oil, coolant and air, all of which come into contact with it at a range of temperatures. It must also not cause any reaction with any of the chemicals found in the oil, which is often specifically formulated to ensure the correct operation of many delicate - and expensive - components. Because of this, the head gasket in every type of vehicle is unique, depending on the characteristics of the engine. This means that millions of pounds are spent every year by motor manufacturers, as they look to meet the ultimate goal of controlling extreme temperatures, and ensuring that the seals which keep the various elements in their rightful places stay in tact. Many vehicle head gaskets are made of stainless steel, but graphite and a range of fibres are also equally suitable. Many new chemical composites, such as silicone, neoprene and polymetric resins, are also commonly used. Apart from their ability to work in the demanding conditions of an engine chamber, major benefits offered by these include that they are cheaper to make than their earlier counterparts. What Happens When A Head Gasket Fails? Failure of the head gasket can quickly cause the engine to overheat, leading to the risk of massive internal damage, caused by a loss of compression, and the inability of the engine to receive the right mix of oil, water and coolant. If you suspect head gasket failure in your car, you should not attempt to drive it, as any damage which has already occurred is almost certain to be made worse. And that’s something you definitely don’t need. What Are The Signs Of Head Gasket Failure? There are a number of symptoms which point to this. These include traces of oil in the coolant expansion bottle, or oil becoming emulsified as a result of the coolant from the pipes seeping through the gasket and into the oil. This can normally be seen as a substance with the look and consistency of mayonnaise inside the oil filler cap or on the engine oil dipstick. You can also check for head gasket failure by running the engine until it reaches its normal operating temperature. If this temperature isn’t maintained, leave the engine running to check that the cooling fan is working as it should, kicking in and cutting out as normal. Also check that the interior heating blows at a constant temperature. You - or more likely someone else - might also notice steam escaping from the exhaust pipe, or a fluctuation of the temperature level indicator inside the car. If your car is showing any of the signs above, switch off the engine and let it rest for a few minutes. The next step needs to be carried out very carefully, as if the head gasket has failed, very hot water will gush from the top of the engine at high pressure. So standing well back, carefully unscrew and remove the radiator cap, to help ensure that the pressure is released very slowly. Now check that both the oil and water look clear. If this is the case, and the engine temperature while running was normal, you will have to look elsewhere for the source of your problem. What Should You Do If Your Head Gasket Has Failed? We’ve already mentioned that you shouldn’t under any circumstances try to drive your car. In addition, you also need to seek help from a suitably experienced mechanic. If you don’t know where to start, look first at getting head gasket replacement quotes by posting a request on MyCarNeedsA.com. You may need to have your car towed to the garage, or lifted onto the back of a recovery vehicle, so you’ll need to check whether the cost of this is included in any quotes which you receive. Head gasket repair usually involves buying not just a new gasket kit, but also bolts for the cylinder head, as these will usually stretch in normal use due to the high temperatures and stresses they are subjected to, so cannot be re-attached. A cylinder head can sometimes be repaired by first being pressure-tested to detect any cracking or warping, which are the results of the high temperatures in which it operates, then being skimmed flat to return it to its proper shape. Replacement oil, oil filter and anti-freeze. In addition, you should expect labour costs to take into account about six hours’ work, rates for which vary depending on whether you choose a franchised dealer or an independent garage, and their location. That’s why, at the first sign that you may need a replacement head gasket, you should head to MyCarNeedsA.com. Once registered (it’s free), you can post details of the work needed. After that, garages on our list of registered service providers can send you their head gasket replacement quote, based on the details you have provided, or ask you further questions to allow them to do so. You’re then free to choose which quote you accept, and to arrange the work directly with the garage, saving you the trouble and time involved in getting individual quotes. Arranging for the fitting of a new car gasket is one job we don’t think you should have to waste time on. Let MyCarNeedsA.com take the legwork out of the process, leaving you to simply choose who the perfect candidate to carry out your car gasket job. Getting quotes for head gasket replacement is just one of the dozens of different jobs people come to MyCarNeedsA.com to help make easier. 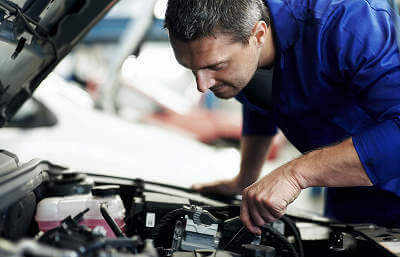 Register as a MyCarNeedsA.com user now, then you can join the thousands who are already benefitting from saving both time and money on all their car repairs and servicing using us.